The Whig Party was a strong political party created in the 1830s in response to staunchly oppose then-President Andrew Jackson, his policies, and the politicians in the part of the Democratic Party that supported him. The Whigs were seen as the successor to two previous political parties: the Anti-Masonic Party and the National Republican Party. They further found favor with many voters by also claiming some popular ideas from the tradition of the Federalist Party, as they were understood at that time. The Whigs firmly believed that the majority of governing power belonged in Congress and not with the United States President, and they encouraged a program of protections that would allow for entrepreneurs, planters, reformers, and ambitious individuals to use banking, modernization, and entrepreneurship to encourage manufacturing and growth. This was extremely popular with many urban middle class and growing business fields but held very little appeal to many farmers and unskilled laborers. On the moral side, there was a large part of the Whigs that were active Protestants who were deeply and morally against many of President Andrew Jackson’s policies, including removal of Native Americans to Reservations. Saying they were an “Anti-Jackson Party” isn’t too far off the mark although it might be a little bit over-simplistic. Along with the Jackson Democratic Party, they would form the early part of the two party system as it would work there. 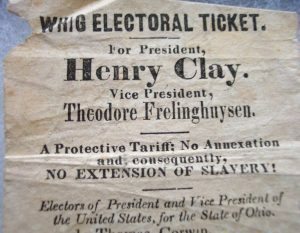 Part of the reason the Whig party worked so well, at least from the 1840s through the middle of the 1860s, is that they had many big names who flocked to their banner. Senator Daniel Webster and Senator Henry Clay were both major names who helped lead the Whig party, which would go on to have four different politicians from their ranks rise to be President of the United States. These men were: William Henry Harrison, John Tyler, Zachary Taylor, & Millard Fillmore. While there were several minor issues that were already dividing the party, slavery was the huge one that caused a break. 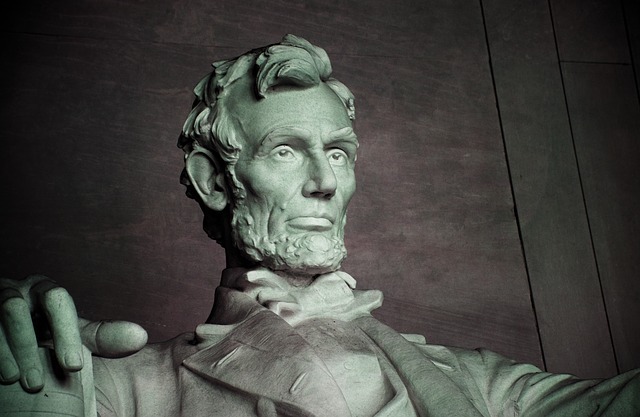 The New Republican Party would form as a result, which would include former Whigs like Abraham Lincoln. While unity made them a political force for two decades, in the end, the breaking of this unity is what would break them and resign them to a blip in the history books. This entry was posted in Political Parties by Same Collins. Bookmark the permalink.